Andatech wholesales safety and health products to distributors all across Australia. We choose only the best products with the most significant, measurable benefits to health and safety. Andatech began by distributing breathalysers as devices for entertainment, but has since then strived to make a difference in the safety of its customers by expanding its product line to include accurate and reliable alcohol breath testers to enhance road safety and workplace safety and help prevent drink driving on our roads. 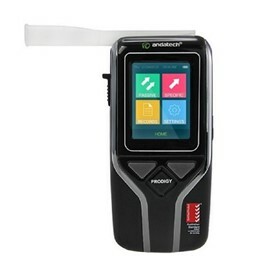 The breathalysers that we distribute today include not only your regular personal breathalyser but also highly accurate fuel cell breathalysers for professional and industral use. We now supply breathalysers to customers in the health industry, law enforcement, mining sites, and various other professional organisations for evidential alcohol testing and alcohol screening applications. Andatech has continued to expand, now distributing products that have a proven track record of improving our health and quality of life. Andatech is a safety, innovative, and health products distributor based in Victoria. We have been operating since 2003 and have continued to expand over the years to include a wider range of products aimed at enhancing our customers' safety, quality of life and health.